This is the first post in my series What is FASTer Way to Fat Loss®? with a focus on what to expect from the premier online bootcamp. It's a six week online program where you learn to create a healthy lifestyle and to effectively burn fat through cutting edge strategies (intermittent fasting, carb cycling, tracking macros). 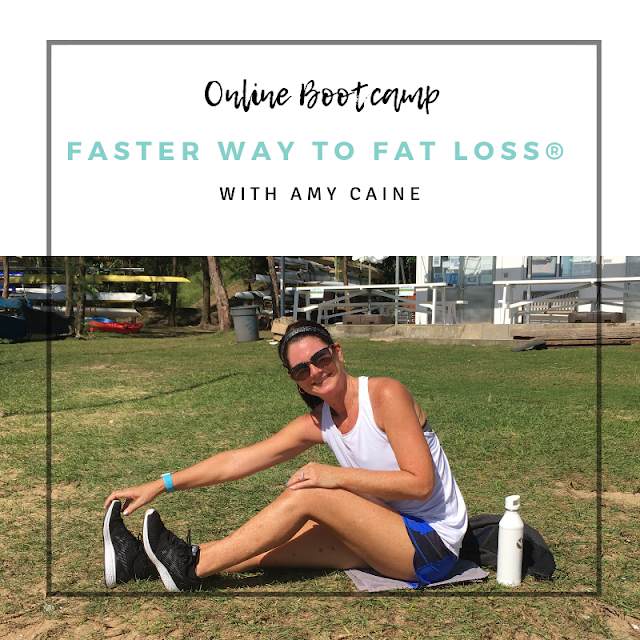 The bootcamp classroom is a private Facebook group (or email), a private website portal, LIVE online training calls, videos, podcasts, and My Fitness Pal. Daily instruction and accountability are provided in the private Facebook group. You access program information through a private website portal. In the portal you receive a comprehensive program guide, daily eating schedule and workouts for the six weeks and sample recipes. **There is no meal plan. You learn the strategies through online readings, LIVE video training sessions and podcasts. You use My Fitness Pal to track your food consumption and learn to eat the right macros, at the right time, for the right reasons. The goal of an online bootcamp is to allow people from all over the world to meet in an online classroom, learn together and support each other. Coming up next, I will discuss the elements of carb cycling and how it is used in the FASTer Way to Fat Loss® program.